Provide security training—Even the most robust and expensive data protection solutions can be compromised should an employee click a malicious link or download fraudulent software. As such, it’s critical for organizations to thoroughly train personnel on common cyber threats and how to respond. Your employees should also know your cyber security policies and know how to report suspicious activity. Install strong antivirus software and keep it updated—Outside of training your employees on the dangers of poor cyber security practices, strong antivirus software is one of the best ways to protect your data. Organizations should conduct thorough research to choose software that’s best for their needs. Once installed, antivirus programs should be kept up to date. Create strong password policies—Ongoing password management can help prevent unauthorized attackers from compromising your organization’s password-protected information. You’ll want to create a password policy that requires employees to change their password on a regular basis, avoid using the same password for multiple accounts and use special characters in their password. Get vulnerability assessments—The best way to evaluate your company’s data exposures is through a vulnerability assessment. Using a system of simulated attacks and stress tests, vulnerability assessments can help you uncover entry points into your system. Following these tests, security experts can compile their findings and provide recommendations for improving network and data safety. Does your policy cover the cost of retaining a forensic investigator to review data breaches? Does your policy limit your selection to a single investigator? Does your policy have a sublimit for forensic investigation-related costs? Is your sublimit in line with the average cost of retaining a forensic consultant? Does your policy cover the cost of printing and mailing notification letters? Does your policy cover the cost of staffing call centres to handle consumer questions regarding a data breach? Does your policy exclude coverage for notifications that are not expressly required by law? Does your policy have a sublimit for the total costs of issuing consumer notifications? Is this sublimit in line with the number of consumers your organization serves? Does your policy cover the costs of providing credit monitoring, identity restoration and identity theft insurance services? Does your policy require your organization to use a certain company for credit monitoring-related services? Does this third party have a good track record? Does your policy have a sublimit for the total cost of credit monitoring? Is the sublimit adequate enough to cover the average cost of credit monitoring multiplied by the number of consumers you serve? Does your policy cover any regulatory proceedings that may occur as the result of a breach? Does your policy cover legal fees, fines or penalties that may incur as a result of a breach? Are sublimits in line with the average cost of defending a regulatory investigation for your industry? 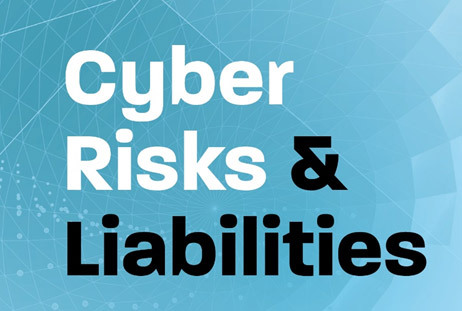 Does your policy include protections for contractual liabilities that result from a data security breach? Does your policy cover contractual liabilities that may be owed to a payment processor or merchant bank? Cyber insurance can be complex, and it’s critical to work with a qualified insurance broker. To learn more about your options, contact KRG Insurance Brokers today.